Catalogue for a retrospective of performance and action art in Czechoslovakia, held at Mánes, Prague, 9 Jul-11 Aug 1991, and Museum of Art (Považská galéria umenia), Žilina, 16 Aug-29 Sep 1991. 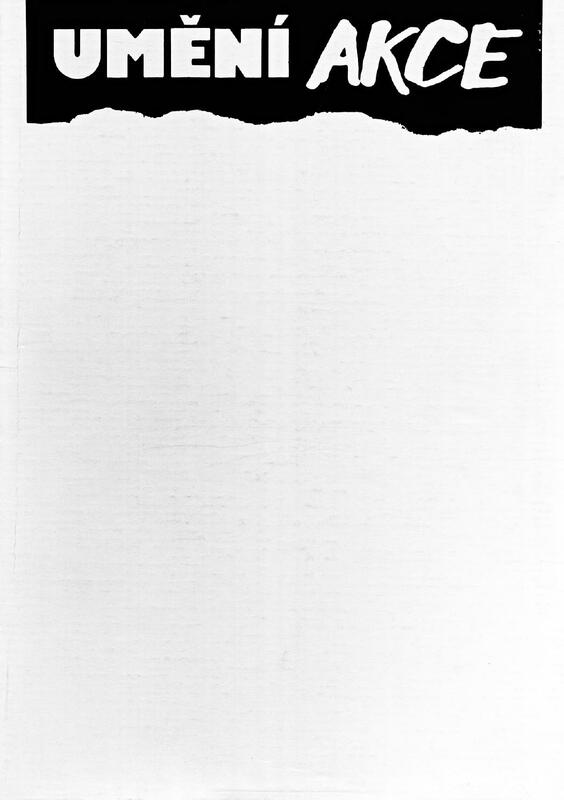 With texts by Věra Jirousová, Jiří Valoch, Ivona Raimanová, Radislav Matuštík, and Vlasta Čiháková-Noshiro. Catalogue for an exhibition held in March-May 2013 at tranzitdisplay in Prague and The Brno House of Arts, Czech Republic, curated by Barbora Klímová, Daniel Grúň and Filip Cenek. 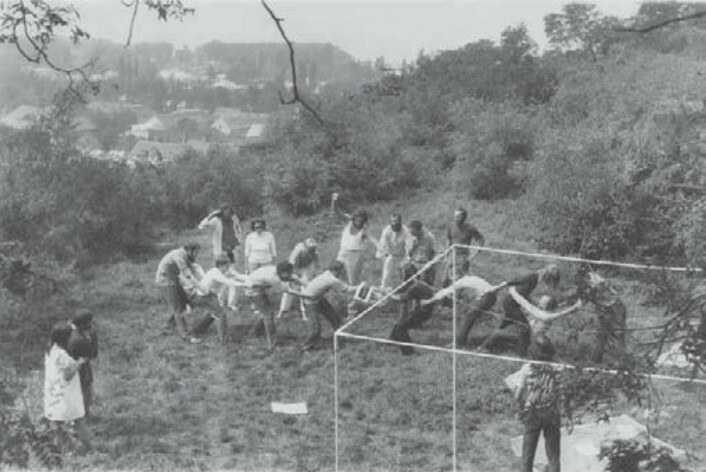 The selected fragments in this exhibition, borrowed from the archives of Moravian, Slovak, and Hungarian artists, reference different communities within the framework of “unofficial culture” during the period of Czechoslovak normalisation in the 1970s-80s. 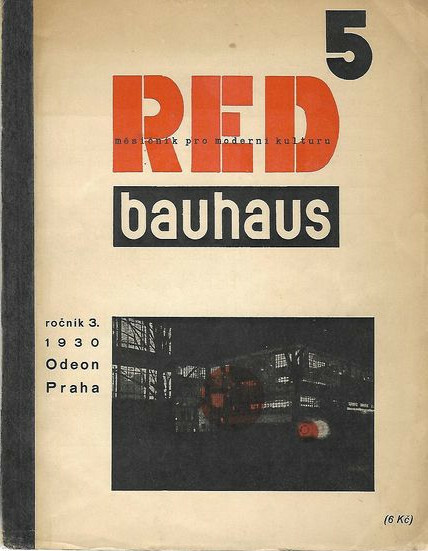 ReD (měsíčník pro moderní kulturu / Revue internationale illustrée de l’activité contemporaine / Internationale Monatsschrift für moderne Gestaltung) was an art magazine published by members of the Czech avant-garde art collective Devětsil. 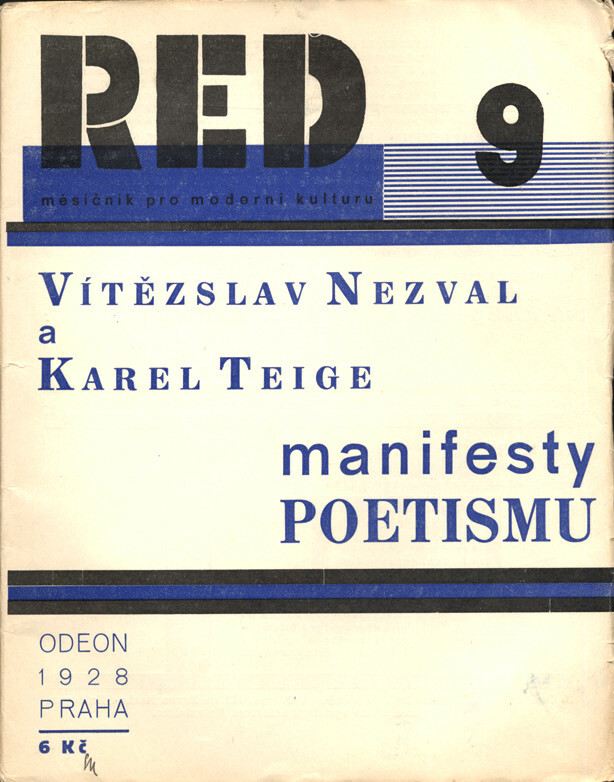 Several manifestos appeared in the journal: Toyen and Jindřich Štyrský’s Artificielisme (1:1, 1927), Karel Teige’s second Poetism manifesto [Manifest Poetismu] (1:9, 1928), and the Left Front [Levá fronta]’s founding manifesto (3:2, 1929). 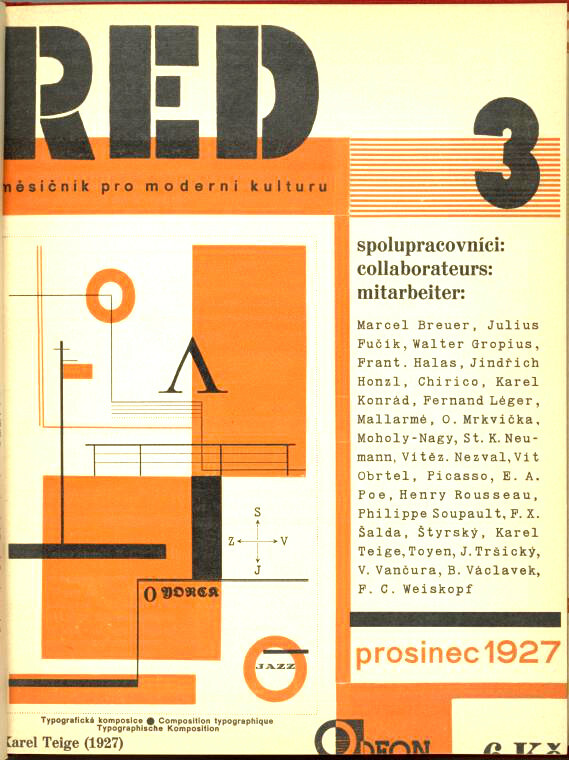 See also Devětsil: Revoluční sborník (1922), edited by Jaroslav Seifert and Karel Teige, in Czech.